Please note that this documentation is for the Legacy Shopify app. If you are looking for current app documentation, it can be found here https://help.brightpearl.com/hc/en-us/articles/360001543971. If you're interested in migrating to the new app, please contact Brightpearl support. Must be unique - see further info in guide below. 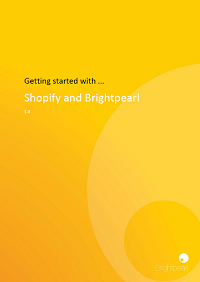 For more info, please download our Getting Started with Shopify and Brightpearl guide.